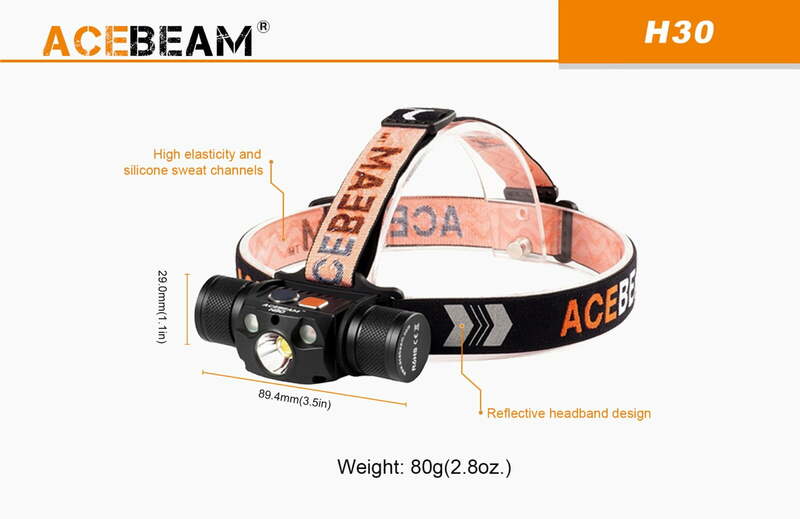 The ACEBEAM H30 Headlamp provides an unparalleled output from Ultra-Low 3 lumens to Turbo- max. 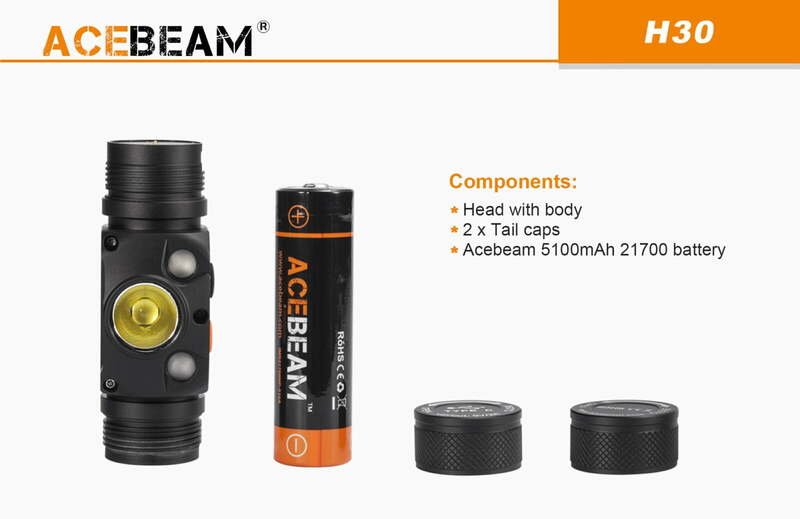 4000 lumens widely used from night reading to outdoor searching; making ACEBEAM H30 the most powerful headlamp. 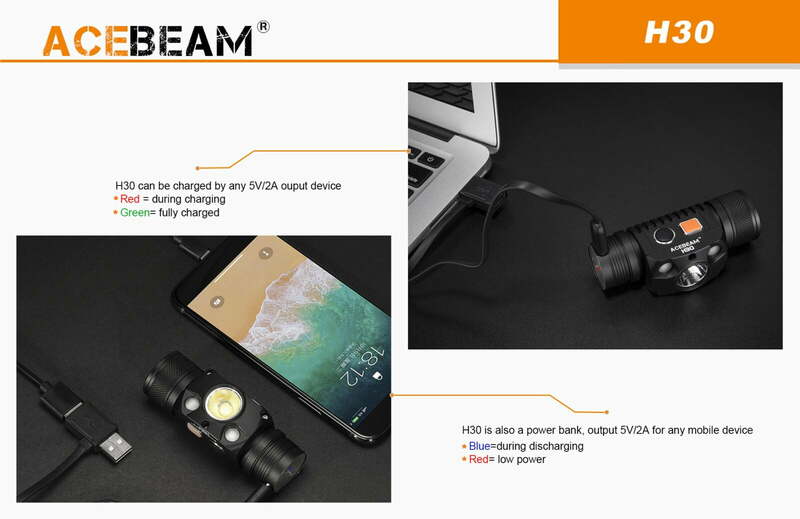 The equipped Type-C rechargeable function with Triple times charging speeds makes H30 much more convenient to charging the 21700 5100mAh battery inside the tube without taking the battery out. 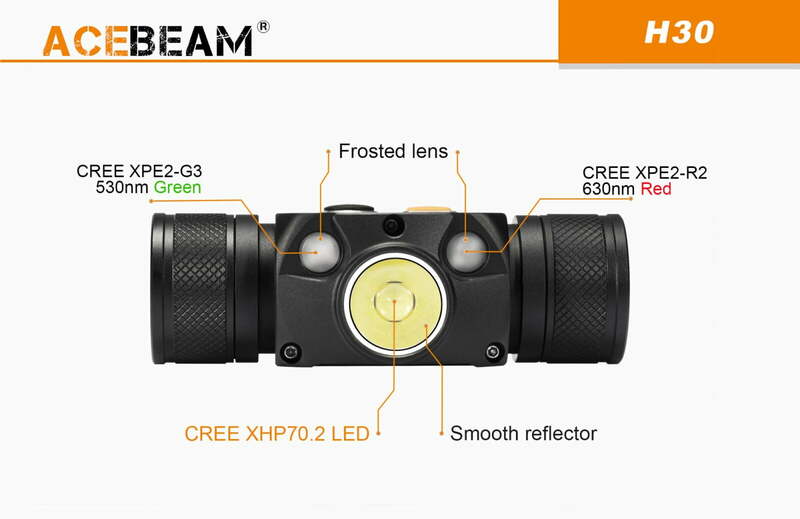 Being fitted with a CREE XHP70.2 LED white light for a better color rendering, the additional CREE XPE2-R2 630nm Red light and CREE XPE2-G3 530nm Green light allows the capability for any mission such as outdoor hunting, and easily protects the night vision. 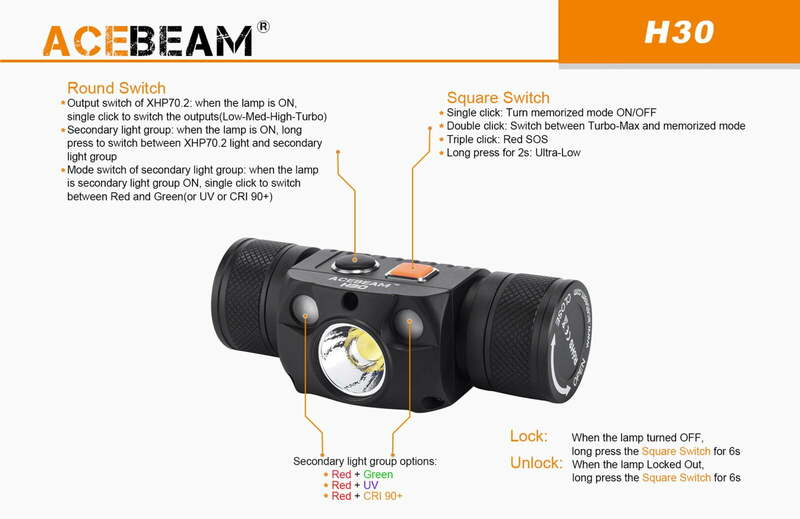 The special SOS for an emergency can even last 72 hours without turning off the light. 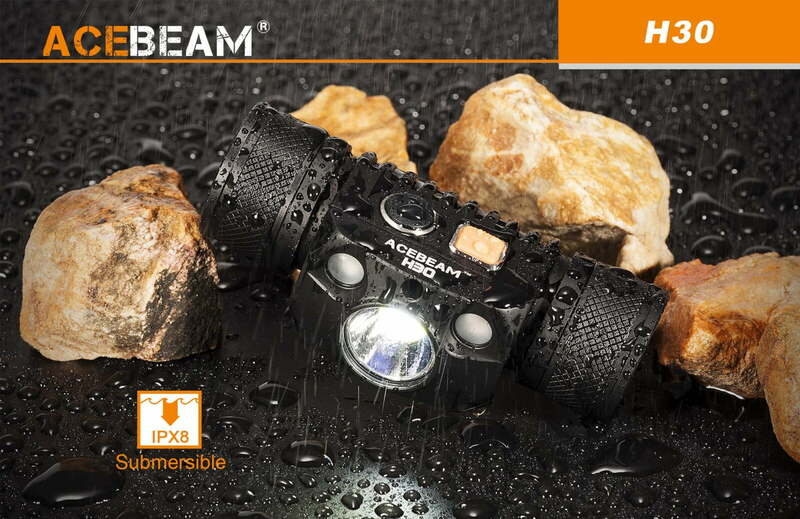 The compact headlamp H30 is ideal for demanding sports such as hunting, fishing, cycling, camping, backpacking, reading and all night activities. 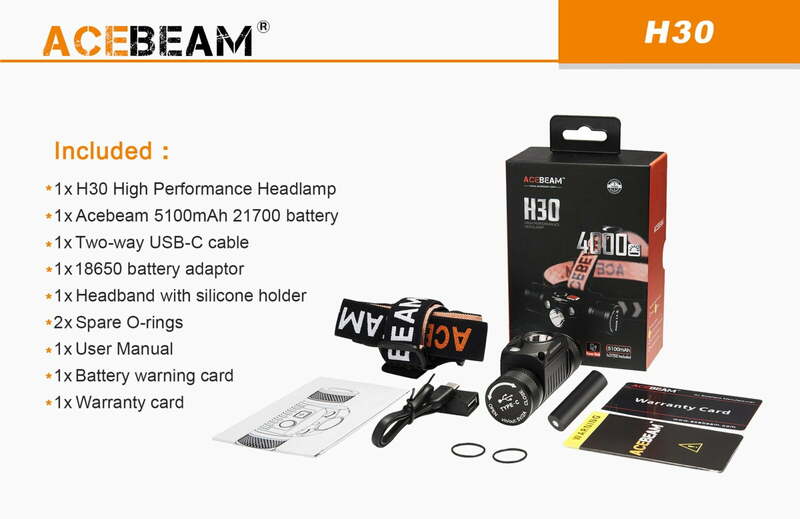 WARNING:Please be aware that if you buy this product from China or other countries outside the EU; you will have extra customs and Tax charges to pay when they deliver to your door! 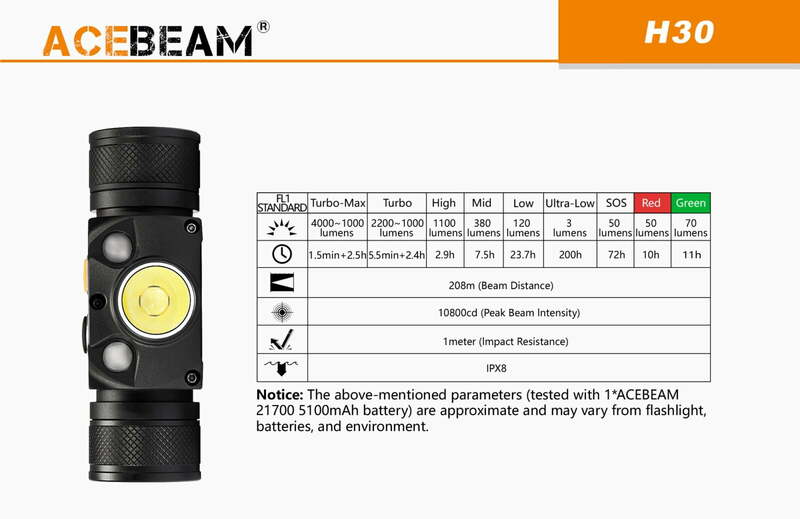 Don’t be fooled by lower, international prices! 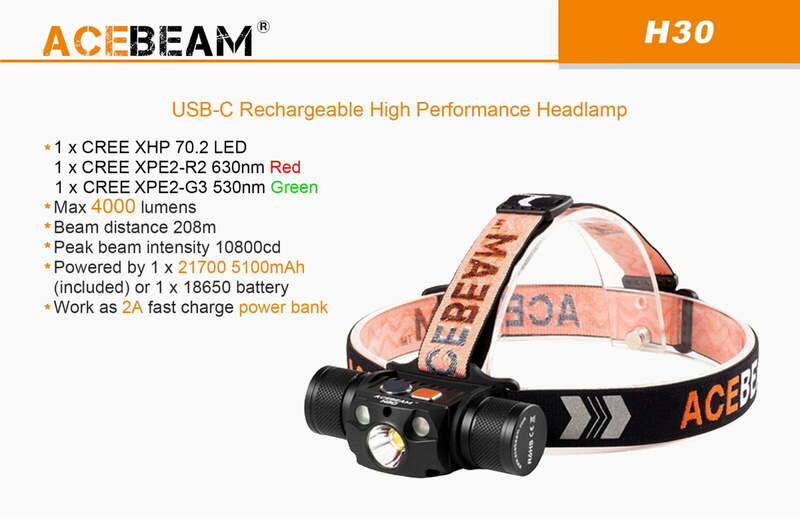 Material: Aircraft-Grade Aluminium Type & Premium type III hard anodised anti-abrasive finish. 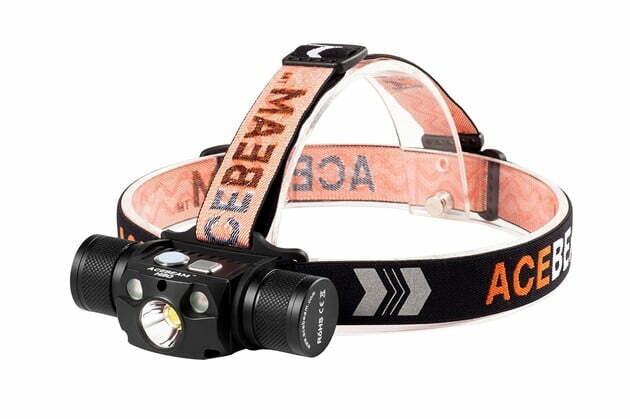 For any Questions about our ACEBEAM H30 Headlamp 4000 lumens; or for Prices on delivery to the EU please contact us. Or; why not visit our Facebook page and follow us? You can see ALL the latest info as it happens!